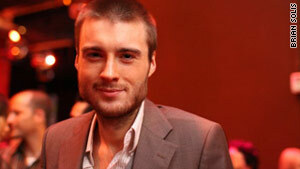 Pete Cashmore says the fear of losing the identity wars to Facebook is too great for Google to back down. (CNN) -- Google's new social network, Google+, is shaping up to be a hit for the search engine giant. And yet Google continues to court controversy with its real names policy, which asks users to represent themselves with their real names or risk having their accounts suspended. Critics say the move is harmful to political activists, victims of harassment and numerous other groups for whom using a real name online might pose a safety risk. So why is Google being so stubborn about this issue and risking bad PR for the sake of a minor technical change? Why not just allow usernames, as Twitter already does? The answer may lie in comments made over the weekend by Google Chairman Eric Schmidt. During an interview in Edinburgh, Scotland, NPR's Andy Carvin asked Schmidt to justify Google's real-names policy. "He replied by saying that G+ was build (sic) primarily as an identity service, so fundamentally, it depends on people using their real names if they're going to build future products that leverage that information," Carvin explained in a posting to Google+. "Regarding people who are concerned about their safety, he said G+ is completely optional. No one is forcing you to use it. It's obvious for people at risk if they use their real names, they shouldn't use G+. Regarding countries like Iran and Syria, people there have no expectation of privacy anyway due to their government's own policies, which implies (to me, at least) that Schmidt thinks there's no point of even trying to have a service that allows pseudonyms." In short: It's all about identity. More to the point: It's all about Facebook. Facebook is the biggest "identity service" on the Web, and the company is already on track to building what amounts to an "online passport." This passport is incredibly powerful: Due to Facebook's international nature, it's truly a global ID rather than a national one. And it provides something traditional IDs do not: A network of trusted friends. It's this system -- Facebook Connect -- that allows any website or application to sign you in instantly without a lengthy sign-up form. Forget passwords. All you need is Facebook. What's more, Facebook's dominance of online identity could give it the lead in numerous industries. Online advertising? Easy: Facebook's identity system could allow websites to serve you more personalized ads anywhere on the Web, with a high degree of certainty that your profile information is accurate. Mobile payments? With a trusted ID system and its own currency ("Facebook Credits"), Facebook may one day attempt to replace your credit card for digital transactions. Blog comments? Facebook has already taken a lead over Google in the area of authenticated comments on news websites -- using real names cuts down on spam. But as critics will point out, it may also discourage dissent. So why wouldn't Google allow for pseudonyms in some cases? Or perhaps offer to hide your real name from public view for privacy reasons? My guess: Google is concerned that doing so would make its identity system less reliable than the one Facebook has already implemented -- a system that insists on real names. Google may fear, I think, that budging just an inch on the issue would threaten the trustworthiness of Google's new identity system and allow Facebook to extend its lead. Those mobile payments? Perhaps people wouldn't want to do business with a pseudonym. Website log-ins? Given the choice between a system that will provide the website owner with the real names of its visitors (Facebook Connect) versus one that provides pseudonyms in some cases, which one would likely be chosen most of the time? Which system would become the ultimate Web passport? Those who argue against Google's real-names policy have an army of supporters, persuasive arguments and noble goals. I doubt Google will heed their calls, however. The fear of losing the identity wars to Facebook is too great, and the prize -- an online passport with global reach -- is too valuable. Google+ has developed a reputation recently for adapting to its users' needs, but on this issue, I expect they will hold firm.